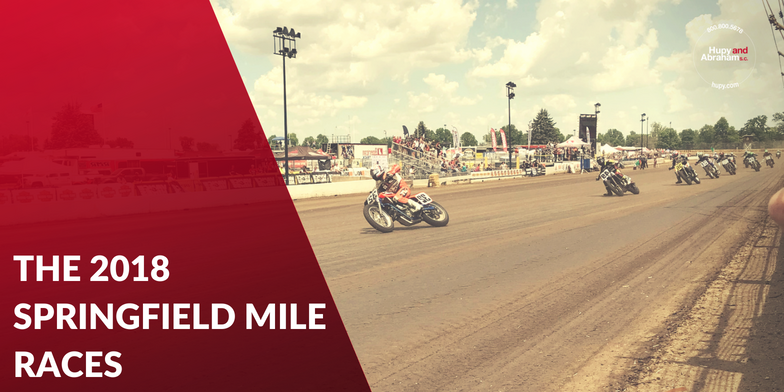 Trending: Springfield Mile Races Take Flat Track To a New Level | Hupy and Abraham, S.C.
One of the most anticipated events of the year is undoubtedly the flat track races at the Harley-Davidson Springfield Mile in Illinois! Running twice a year, this past weekend the “fastest dirt track in the world” hosted the much anticipated, first-ever AFT Production Twins and Main Event AFT Twins presented by Vance & Hines. Despite the blistering heat, crowds easily numbering in the thousands packed the grandstands and watched as a full field of the world’s greatest flat track racers battled it out head-to-head and handlebar-to-handlebar. This year, Illinois native Jeffrey Carver Jr. won in surprising upset over reigning AFT Twins champion and current points leader Jared Mees. Carver, racing his No. 23 Roof-Systems/Indian of Metro Milwaukee Scout FTR750, threw down one blistering lap after the next as he shook free of an intense five-rider fight for the lead that included some of flat track racing’s largest legends. Other reasons to attend the mile than watching some of the best and most dramatic racing in the world come to mind! Great music, fair food and fantastic vendors make this family event complete. Everyone from Harley-Davidson to American Flat Track had vendor stands, and of course, Hupy and Abraham was there with their classic “Watch for Motorcycles” message, both on the track and off! This year, our brand-new item – the “Watch for Motorcycles” trucker hat -- was a huge hit, and was a great way to beat the heat AND spread the “Watch for Motorcycles” awareness message! 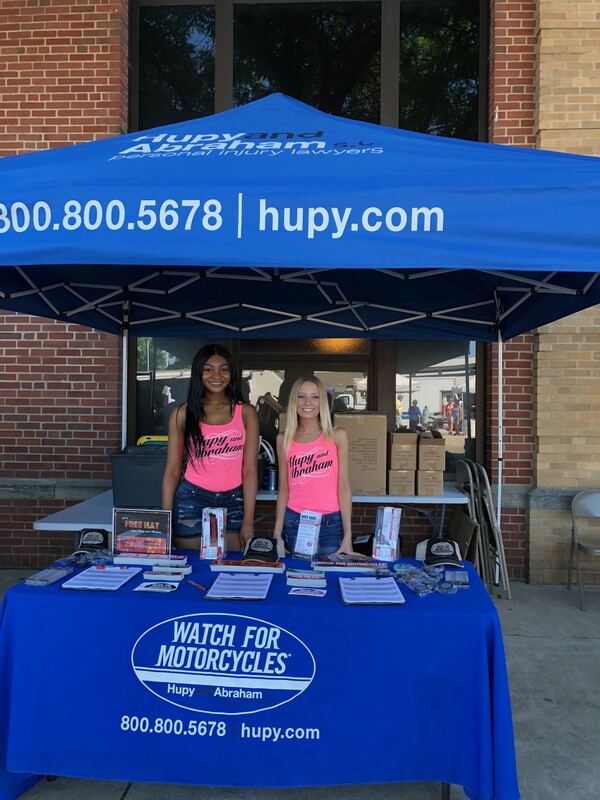 If you missed us at the Hupy and Abraham booth at the Springfield Mile this year, be sure to catch us at other great track events like Road America’s Rockerbox and MotoAmerica races! We’ll be handing out the “Watch for Motorcycles” trucker hats, ear plugs, motorcycle events calendars and, of course, FREE “Watch for Motorcycles” bumper stickers! For more information, click here.